Last week held relatively quiet as many legislators stayed in their districts to focus on the primary elections held on Tuesday. House members did formally vote to not concur with the Senate budget and legislators were assigned to a conference committee. This committee will work to combine the House, Senate, and Governor’s budget priorities. Following their work (which could take several weeks to complete), House and Senate members will give it one more final approval before sending to the Governor for signature. The last day of the state fiscal year is June 30th so legislators will need to act fast or sign a continuing resolution to keep state government operating after that date as they work to finalize a budget for the rest of the fiscal year. Tuesday, June 14 – Sign-up for Lobby Day in Raleigh – 8:30 AM ET **This event includes an advocacy training, press conference that NASW-NC is involved with, and visits with legislators. HB 1047 Welfare Reform/Food Nutrition Benefits: This bill would require the state Lottery Commission to report winnings of more than $2,000 to the state Department of Health and Human Services every month so it can crosscheck for food stamp recipients and applicants. It is already illegal to fail to report income when applying or re-applying for food stamps. This bill would establish penalties aimed at repeat offenders. Further, the bill includes a study of categorical eligibility. The bill passed committee and was sent to the House floor. HB 817 Enact Law on Adult Uniform Guardianship: With one technical change made to the bill, the Senate finally approved this bill! The House did concur with the change so it can be sent to the Governor for signature. This bill will bring standards for adult guardianship up to par with other states by allowing North Carolina state courts to recognize adult guardianship orders from other states and better protect vulnerable seniors from fraud and abuse. HB 539 Charter School Funding: This bill would require local school districts to provide charter schools with additional funding even if they do not provide the services associated with that funding. For instance, charter schools could receive funding for the federally-backed school lunch program even if they don’t provide free and reduced lunches for their students. Both the House and Senate have already worked on the bill in their various chambers so the House just needs to vote on concurring with Senate changes for this bill to be approved. 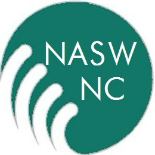 This entry was posted on June 13, 2016 by naswnc in Advocacy, Blog Posts by Topic and tagged 2016 Short Session, Charter Schools, Equality NC, Guardianship, Human Rights Campaign, macro social work, macro social work practice, NASW-NC, NCGA, NCPOL, NCSocialWorkAdvocacy, Short Session, social workers, state budget, Turn Out NC, Welfare Benefits.